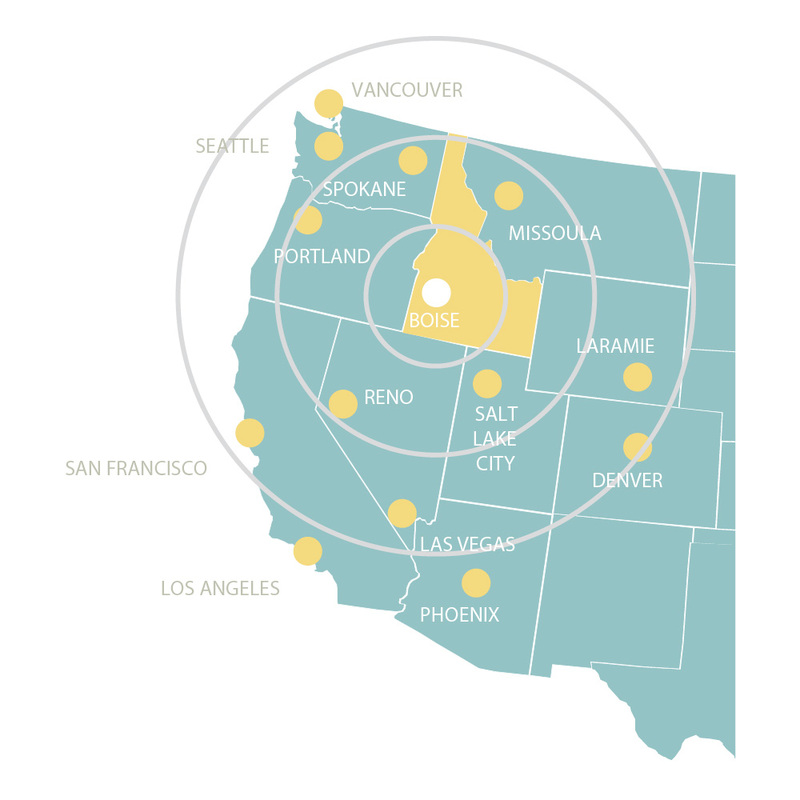 Over 70 million U.S. customers are within an 800 mile radius of Boise, Idaho, as well as 12 major metropolitan areas in the U.S. and Canada. When choosing to partner with an Idaho company, locate or expand your business in Idaho, or even invest in Idaho, the Idaho Department of Commerce is your single point of contact, bringing everything together that you need to make informed decisions. it is to start working with Idaho! If you need additional information about investing in Idaho, please visit Idaho Commerce website.